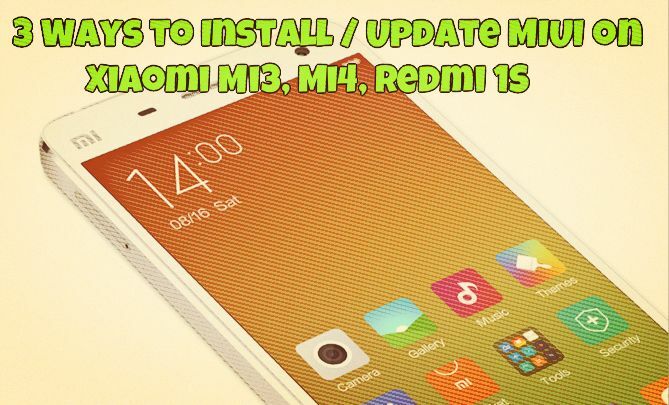 In this tutorial we’ll show you 3 best and easy ways to update or install MIUI Rom on any Xiaomi Android devices like Mi3, Mi4, Redmi 1S. 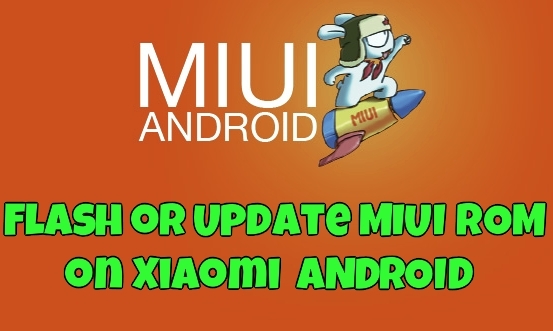 From last few day most of the Xiaomi users asked us how to flash the ROM on Mi3 or Redmi or how to update form MIUI5 to MIUI 6. So here are all the answer’s which you can find in this tutorial. In this guide we’ll show you three different methods to update the Xiaomi devices. All the below mention guides are very easy to use and one of the best way to flash the MIUI roms. If you phone is bricked or dead you can use these guides to install the ROm on your Xiaomi phones. Note:- Flashing a newer version of MIUI ROM doesn’t need to wipe data, but flashing an older one does. Before following any of the below mention method do take the backup of your phone and save the backup file in some safe lace like USB drive or on your PC. Here in this guide you can use two different method to install or flash the new MIUI rom on your phone. One is the update app method an second is the MI recovery method. Both the methods are easy and all you need a Full ROM zip file to get started. No need to use any application or PC to flash the ROM on your device. You can do this easily with the help of MI recovery tool or with the Update app. Read the full guide here and follow any of the method on your device. Another way to flash the MIUI rom on Xiaomi. This method is little bit lengthy and you need a MI flash tool to follow this guide. Use this method only when you face some problems on your device like your phone is Dead or bricked, reboot itself, hang most of the time, crashes etc. Hi siddharth, yesterday i had downloaded developer rom on my xiaomi mi3 thru phone itself and it was saved in my download folder , and i had updated it on phone, and the phone is work fine , but i had downloaded chinese developer rom and i am not happy with it and now i am not able to use google, can you please help me to downgrade to stable rom from india, please help me.